With 2 high temp 400 deg C Extruders, Free Training, & Free Calibration, the Creatbot DM 3D Printer is for serious 3D Printing Professionals who require robust 3d printers that deliver industrial quality results even at fast speeds. 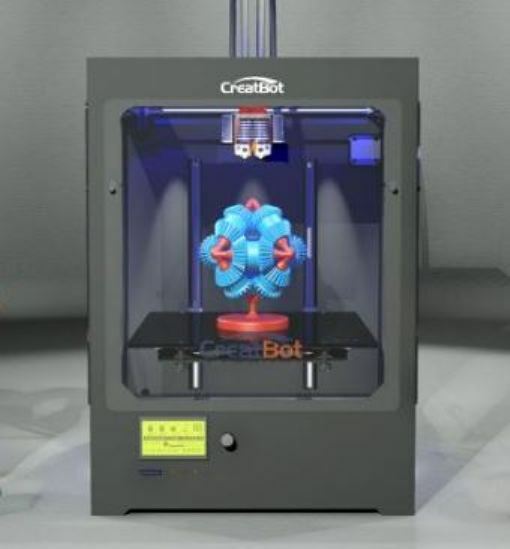 3D Printing Services are Authorised Resellers for Creatbot in New Zealand. Laayby & Terms Available – please Contact Us to arrange! Every Creatbot comes with Free Calibration Profiles which means you have zero experimentation needed & can get proven results as soon as you acquire the machine. We offer a complimentary 2 hour training & demo session at our site that covers standard routine operations & tasks on the creatbot 3d printer. your staff are welcome to attend when they come to pickup the printer. You can phone us in the first instance & we will do our best to help you with anything 3D Printing. We work with our customers to resolve any issues faced as per the consumer guarantees act. We stock a lot of parts & will usually repair the printer asap. So why should serious 3D Print Users buy a CreatBot over another 3D Printer? If the filament runs out during print, no problem, the Creatbot will pause & let you load filament! If you want Big parts Fast & want the ability to print almost any material out there, this Creabot DM with a 400 degree C extruder will deliver time & again. If you want a 3D Printer that will work in literally any environment, the Creatbot can be rivalled by few other brands at its price point. Full metal chassis, metal tray mount & metal brackets. This printer weighs around 25Kg for a reason. The weight allows for amazing stability during prints, which means layers are not affected by vibration or external forces. Whether you want to print functional industrial grade temperature resistant parts using specialty plastic filaments like ColorFabb HT, or print highly durable parts with Carbon Fibre – this 400 deg rated 3mm bowden extruder will take care of it! A single extruder model is also available, Please contact us for more details. Resolution: 50 – 400 micron spec 0.05mm – 0.4mm layer height. SD Card & USB direct printing support. Free CreatWare (Cura based) 3D Printing Software thats easy to use for Beginners with a Simple mode, & also powerful for Advanced users with a Full Settings mode. 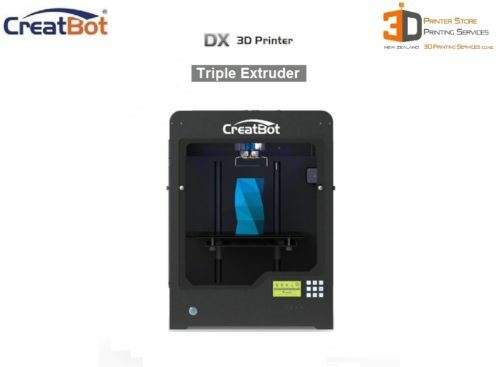 The Creatbot DM is the little brother of the larger Creatbot DX model. 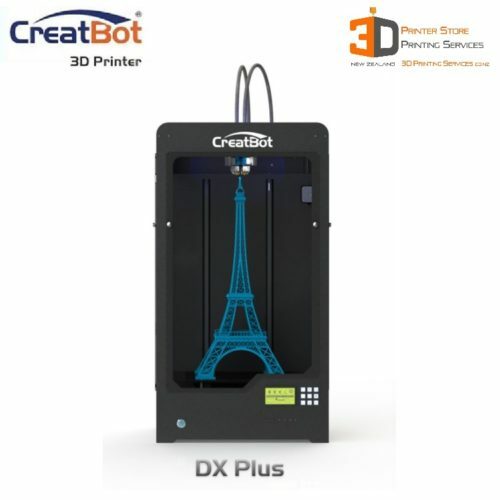 Creatbot 3d printers provide the same industrial reliability across the entire product range. So there is a commercial quality CreatBot that is right for a wide range of budgets. Please note that the Creatbot 3d printer is over 30Kg & will thus need an extra shipping charge based on your location. We welcome you to pickup & avail the free 2 hour training session at the same time. Kindly note that due to continuous product improvement, specifications may change without notice.